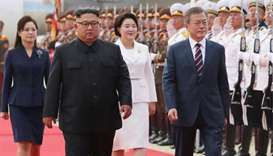 North and South Korea agreed on Monday to begin reconnecting rail and road links, another step in an improving relationship that has raised US concern about the possible undermining of its bid to press the North to give up its nuclear programme. 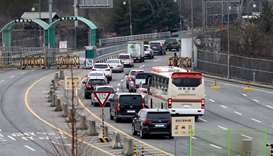 The agreement on transport links came during talks in the border village of Panmunjom, aimed at following up on the third summit this year between South Korea's President Moon Jae-in and North Korean leader Kim Jong Un, last month. 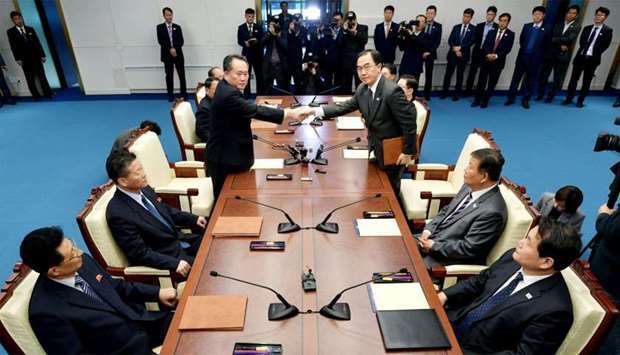 ‘The South and North reached the agreement after sincerely discussing action plans to develop inter-Korean relations to a new, higher stage,’ said a joint statement released by the South's Unification Ministry. 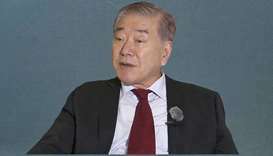 They agreed to hold ceremonies in late November or early December to inaugurate work on reconnecting the railways and roads that have been cut since the 1950-53 Korean War. 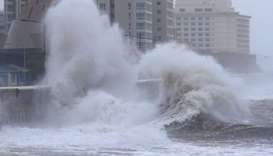 The two sides will carry out joint field studies on the transport plans from late this month, according to the joint statement. 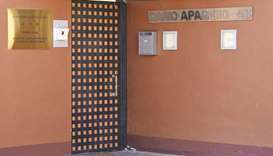 They also agreed to discuss late this month a plan to pursue a bid to co-host the 2032 Olympic Games. ‘We are at a very critical moment for the denuclearisation of the Korean peninsula and the advancement of inter-Korean relations, and there's also a second North Korea-US summit coming up,’ Cho told reporters before leaving for Panmunjom. 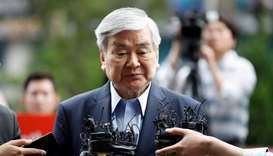 Talks between the two Koreas are running in parallel with US efforts to press North Korea to give up nuclear weapons and missiles that the North says can hit the US mainland. 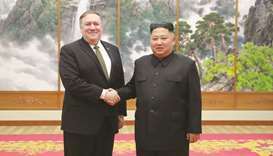 Kim held an unprecedented summit with US President Donald Trump in June in Singapore and the two sides are arranging a second meeting, which Trump said would likely happen after US congressional elections on Nov. 6. 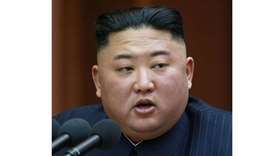 But despite the meeting between Kim and Trump, the United States is still pursuing a policy of ‘maximum pressure’ to get North Korea to give up its nuclear weapon and ballistic missile programmes. 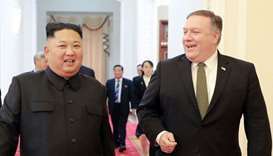 US Secretary of State Mike Pompeo expressed ‘discontent’ over that agreement, South Korea's foreign minister Kang Kyung-wha said last week. 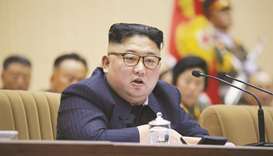 In August, a plan for an inspection by the two Koreas for the rail project was scrapped after the United Nations Command (UNC), which overlaps with US forces in the South and oversees affairs in the DMZ, rejected the passage of a test train carrying fuel, military sources said.